The essence of Kentucky and the tall, frosty cousin to the julep. In a highball glass, tamp 7 of the mint leaves, fill the glass with crushed ice, add the bourbon, lemon juice, and maple syrup, and stir to combine. 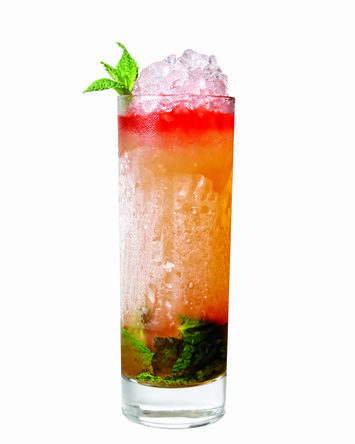 Add a mound of crushed ice, drizzle a few drops of bitters over the top, garnish with the remaining mint leaf, and serve with a swizzle stick.